Students had to be evacuated from the parochial school at the Church of the Holy Name in Boston's West Roxbury neighborhood on Friday morning after several of them reported not feeling well. 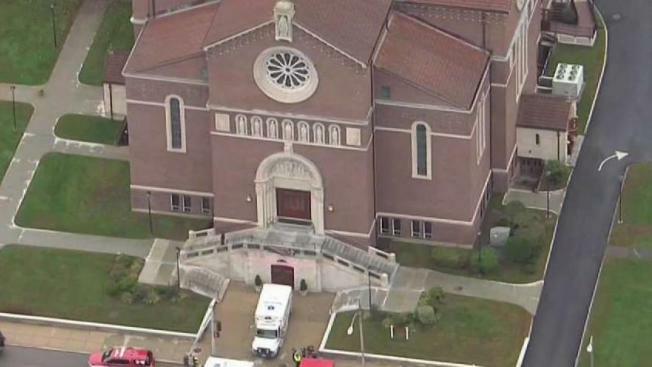 A Roman Catholic church in Boston had to be evacuated Friday morning after several children reported feeling ill and three were taken to a hospital. Boston fire officials responded to Holy Name church in the city's West Roxbury neighborhood just before 11 a.m. because the children complained of feeling light-headed and faint. Three went to the hospital with what fire officials called "non-life threatening injuries." The building was evacuated as a precaution. Church officials say the children were there for a prayer service. Firefighters conducted air quality tests and did not find anything unusual. Principal of Holy Name Parish School, Kathleen Caulfield, released a statement saying that all students are safe and following normal school routines. The principal of Holy Name Parish School, Kathleen Caulfield, released a statement saying that all students are safe and following normal school routines.